Drinker's Tavern is the hippest rock and roll bar in Philadelphia. If you're sick of the up tight bar crowds and need to let loose, come liberate yourself at Drinker's Tavern. Located on busy Market Street, Drinker's adds to the popular nightlife of Old City. Drinker's Tavern has an energetic atmosphere which frees your spirits and makes your night out unforgettable. 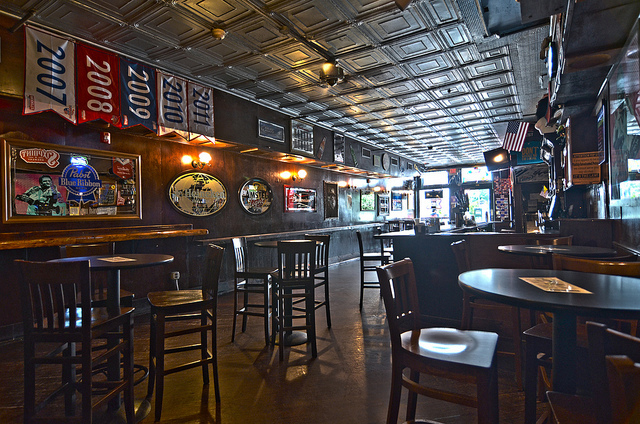 Drinker's has two floors with a wood decor, huge bar and ample seating. Admire the Elvis memorabilia and play your favorite songs on our jukebox which has been rated best jukebox several years in running.